Hi! Dana here today sharing the wings plaque that I created for the Anything Goes theme this week. 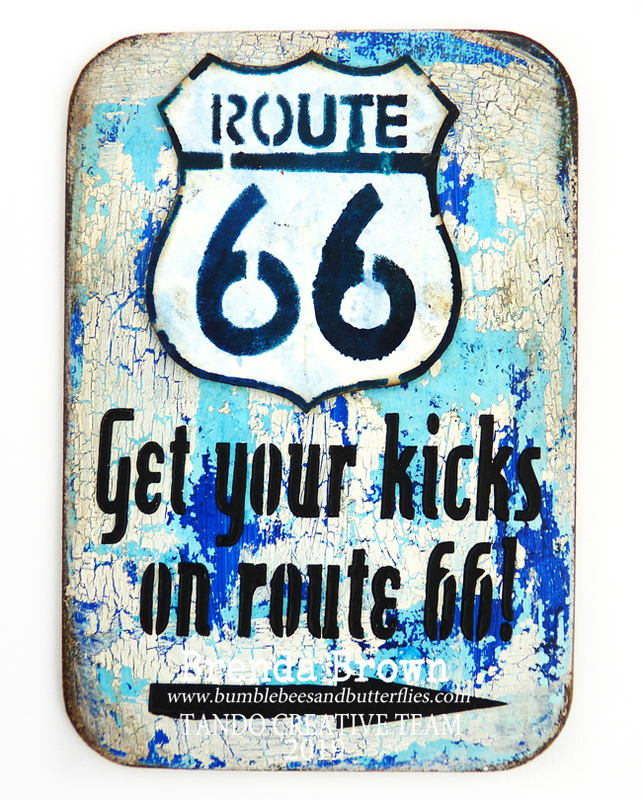 I created two similar plaques, that you can view HERE and HERE. 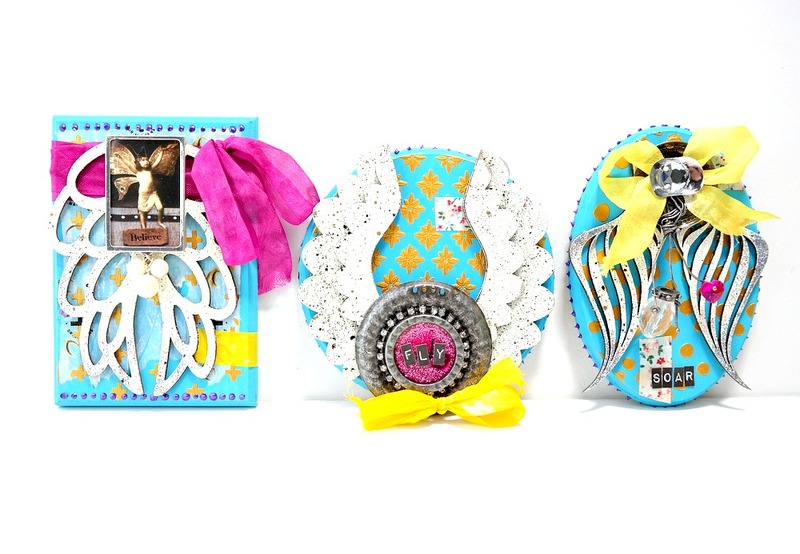 I thought it would be fun to create a 3-piece plaque set with the 3 pairs of wings from the Wings Set. I started this piece with a Walnut Hollow 5x7" Basswood Thin Oval Plaque and then added a coat of blue acrylic paint. I then added a layer of gold circles to the plaque by spreading Faber-Castell Gold Texture Luxe over The Crafter's Workshop Mini Halftone Circles Stencil. Next, I added a fun print with a strip of floral washi tape, and purple dimensional paint dots. I embossed a pair of wings from the Wings Set with Ice Resin Iced Enamels Ivory and Silver Glitz powders. The Iced Enamels are designed to color metal, but I use these enamels on chipboard all the time and love the effect. The chipboard wings are one of three pairs included in the set, which varies in both wing design and size. I glued the wings to the plaque and then glued a metal charm embellishment over the top. 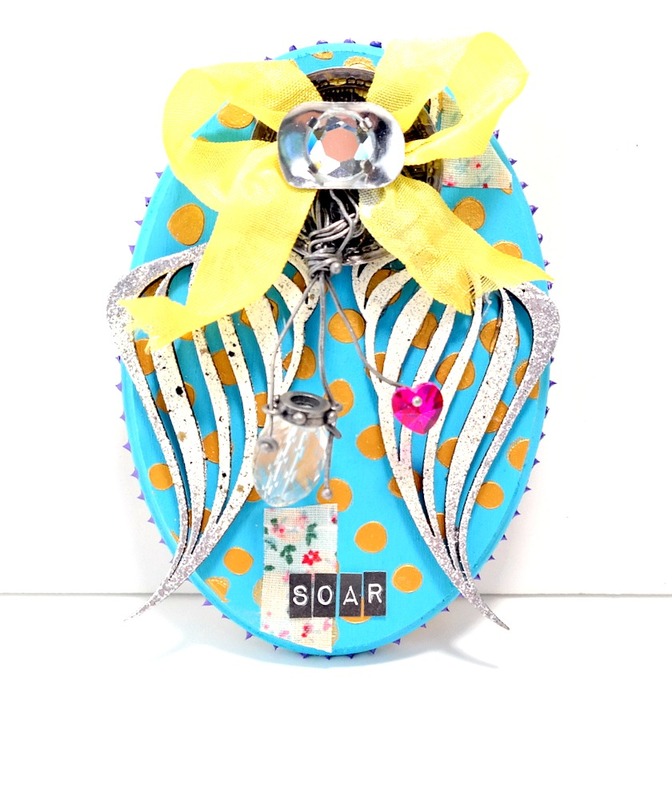 I added the word "SOAR" with mini letter stickers and a bright pop of color with some hand-dyed yellow seam binding ribbon. Here are the three plaques together. You can find the chipboard I used for this project in the Tando Creative Retail Store. There are several chipboard sets available with wings in addition to the set that I used for this piece including a fun steampunk set with cogs, and a whimsical mix of wings and hearts. We'd love to see your creativity! Share your work with us in Tando's Creative Zone on Facebook.